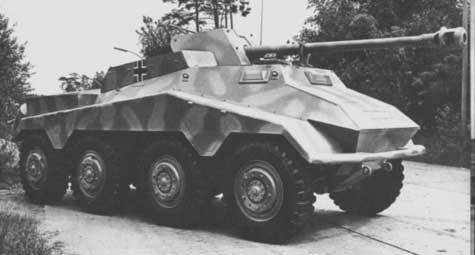 Notes The Sd.Kfz 234/4 was another support version of the 234 series. It mounted a tank killing gun in the 75m PaK 40 along with a MG34 or MG42. The first models didn’t reach the front until late 1944 and gave extra punch to the heavy reconnaissance companies.